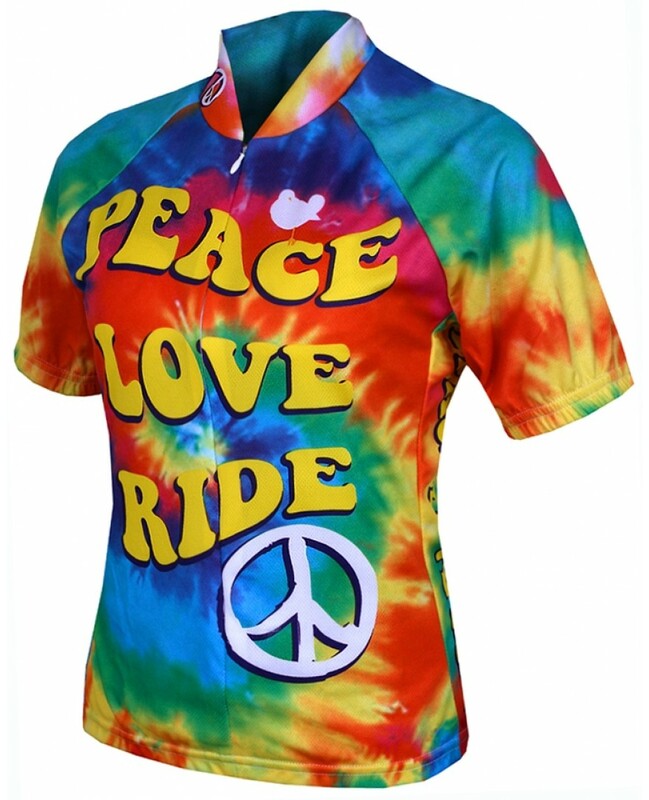 Show your true Hippy Spirit with the Moonbeam Womens Tie Dye Jersey. Peace Love Ride! This World Jerseys Moonbeam Womens Cycling Jersey is made out of 100% Polyester DrySport wicking fabric. 15″ hidden zipper. Elastic waist and cuffs. Three rear pockets for storage. Womens specific fit.